On January 27 Howard Schultz, the former CEO of Starbucks, told CBS' "60 Minutes" that he is considering running for president of the United States as an independent. Schultz has hired former Republican strategist Steve Schmidt and Democratic consultant Bill Burton. Schmidt was involved in the presidential campaign of George W. Bush in 2004, while Burton was a member of Barack Obama's 2008 campaign and later served as deputy White House press secretary. Schultz, who as of January 30 is worth US$3.4 billion according to Forbes, stepped down as executive chairman and board member of Starbucks in June 2018 and is now chairman emeritus. He owns more than 37.7 million shares of the company's stock. Many have criticized Schultz's presidential bid, worrying that it might help re-elect Donald Trump by taking votes away from the Democratic candidate. But there is another reason why Schultz's run for president is dangerous: his long-standing ties to the Chinese Communist Party (CCP) and Starbucks' overreliance on the Chinese market. Over the years Schultz has stressed how important China has been to Starbucks. He has visited CCP officials and ingratiated himself with the Communist leadership. "We started out, like most Western brands, going to the two major cities, Shanghai and Beijing. In the last couple of years, it is stunning to see what we’ve been able to do in secondary and tertiary markets—these markets have five to ten million people in them. This past month, we opened up in two cities that people never heard of. One is Fuzhou, which has a population north of five million people. In a rainstorm, people were lined up in the morning waiting for the Starbucks door to open. "I was in China last month, and a government official told me there are now 140 cities in China with a population north of a million people. We don’t have a rollout plan for 140 of those cities, but we strongly believe that the discipline and the process are in place for us to execute a very big growth plan in China, learning from the mistakes we made in the US. "Every consumer brand imaginable is rushing to these emerging markets, with China being the number one." Schultz's interview is remarkable for three reasons. First, he clearly emphasized Starbucks' reliance on the Chinese market. Second, he wittingly or unwittingly echoed the official rhetoric of the CCP when referring to "greater China" and the "mainland". The CCP claims that Taiwan is part of China, and the use of the term "mainland" (China) is supposed to convey the idea that China and Taiwan are part of the same country. Third, he clearly had contacts with Communist officials. It is possible to assume that he picked up the terms "greater China" and "mainland" while discussing with local officials. In 2012, Schultz met with former Chinese president Jiang Zemin. "Starbucks chairman and ceo Howard Schultz met today with the Shanghai Party Secretary to express his gratitude for the government’s support of Starbucks innovation and growth in China. "The reform and opening-up policy is one of the most significant contributing factors to China's unprecedented economic miracle ... 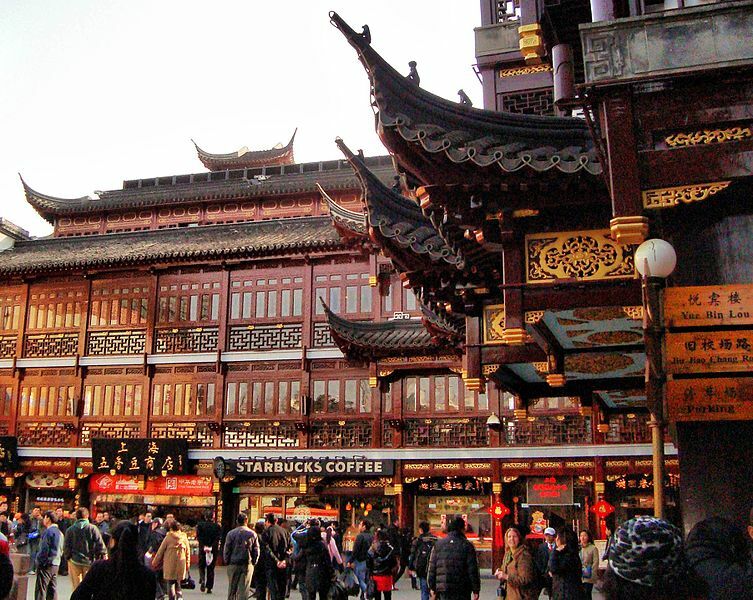 Since we opened our first store in Beijing in 1999, Starbucks has benefited from the Chinese government's commitment to deepening its socio-economic reform. Today, with more than 3,200 stores across 139 cities, China is the largest, fastest-growing and most strategic market for Starbucks. We are in China for the longterm and we have been investing 'in China, for China' from the beginning." How can Howard Schultz be expected to defend American economic and political interests when he is so deeply involved with a one-party dictatorship that is an adversary of the United States? It is a matter of public record that the People's Republic of China (PRC) violates human rights and labour rights, pursues unfair trade practices, threatens Taiwan, cracks down on Hong Kong activists, puts millions of Uighurs in concentration camps. and arbitrarily detains foreign nationals. How can Schultz, who as CEO of Starbucks has for decades put profit above human rights and US economic and diplomatic interests, be expected to stand up to one of the US' major rivals? On January 29 the US Director of National Intelligence Dan Coats testified at the Senate Intelligence Committee’s annual hearing on worldwide threats that "Chinese pursuit of intellectual property, sensitive research and development plans, and U.S. personnel data remains a significant threat to the United States government and the private sector." A large part of Schultz's wealth derives from Starbucks' business in China. If he became president of the United States and even attempted to confront Beijing on sensitive issues, the CCP could arbitrarily threaten to harm Starbucks' business interests through regulatory measures or other tactics. The CCP government has a long history of bullying businesses that dare challenge the Communist regime. It is likely that as president Schultz would revert to a pro-CCP fake free trade policy in which human rights and China's unfair trade practices are downplayed or ignored. Howard Schultz is clearly compromised. He cannot protect the interests of the United States when the company of which he is chairman emeritus and in which he has a personal financial stake so heavily relies on China. When for decades he has set aside human rights issues and unfair trade practices for the selfish pursuit of profit. When he has had personal relations with Chinese Communist politicians. In order to avoid the election of compromised individuals, it is necessary for Congress to pass strict laws barring citizens who have financial interests abroad and ties with foreign authoritarian regimes from running for president. Or else, Trump will not be the last president elected with the help of a foreign dictatorship.